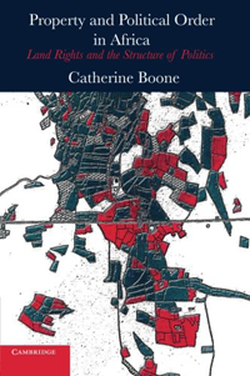 Property and Political Order in Africa: Land Rights and the Structure of Politics (Cambridge University Press, 2014). JP Jacob's review is here. 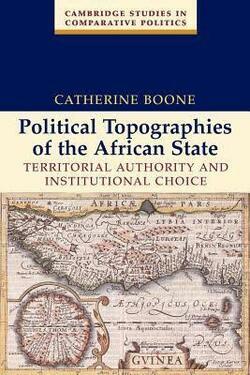 ​Territorial Authority and Institutional Choice (Cambridge University Press, 2003). 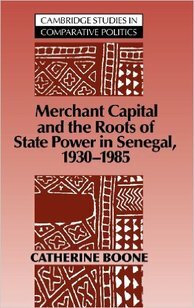 This 2003 study brings Africa into the mainstream of studies of state-formation in agrarian societies. Territorial integration is the challenge: institutional linkages and political deals that bind center and periphery are the solutions. In African countries, as in territorially diverse states around the world, rulers at the center are forced to bargain with regional elites to establish stable mechanisms of rule and taxation. Variation in regional forms of social organization make for differences in the interests and political strength of regional leaders who seek to maintain or enhance their power vis-à-vis their followers and subjects, and also vis-à-vis the center. The uneven political topography of the regions ultimately produces unevenness in the patterns and depth of center-region linkage. Six sub-regions of three West African countries - Senegal, Cote d'Ivoire, and Ghana - are the backbone of the study.